The Center for Medical Progress, which has released several videos depicting Planned Parenthood’s sale of body parts and tissues taken from aborted babies, has joined the effort to pressure Iowa Gov. 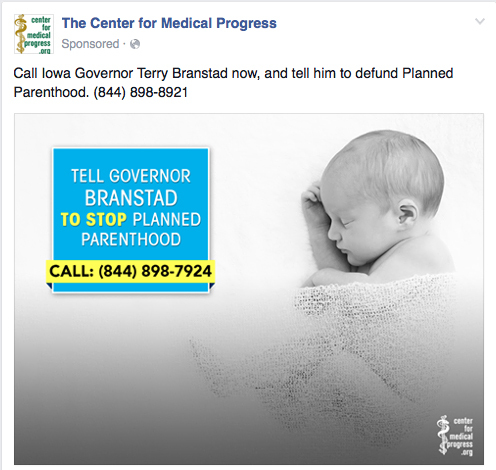 Terry Branstad to take action on a 2010 promise to defund Planned Parenthood. The following post now appears on Facebook, calling on Iowans to call Branstad’s office to urge him to keep his promise.